Medium - $34.99 Large - $34.99 Only 7 left! X-Large - $34.99 Only 1 left! Does your kiddo want to be scary and a bit on the hairier side this Halloween? Well, this Child Snow Monster Costume will be perfect! Your kiddo will be a cute reminder to all your friends and neighbors that after this fun Halloween season, next up is a frightfully cold winter. Once your kiddo dresses up in this furry tunic he will be the most adorable abomination running around the block. While many other children may dress up as creatures of the night, your youngster will be a monster of the arctic. Vampires, werewolves, and ghosts will run in the other direction when your little yeti hits the streets. You and your kiddo will be sure to have safe passage from house to house all around the block while these fuzzy duds are on him. This tunic comes with an attached hood as well as a pair of shoe covers with cute little claws. In order to complete this abominable new look, make sure to grab a white long sleeve as well as a pair of white tights. When you’re little one is running around town in this all white disguise, he’ll stand out more than the rest of the creepy crawlers trying to hide in the shadows. We know your kiddo is ready to be more than another average Halloween monster. 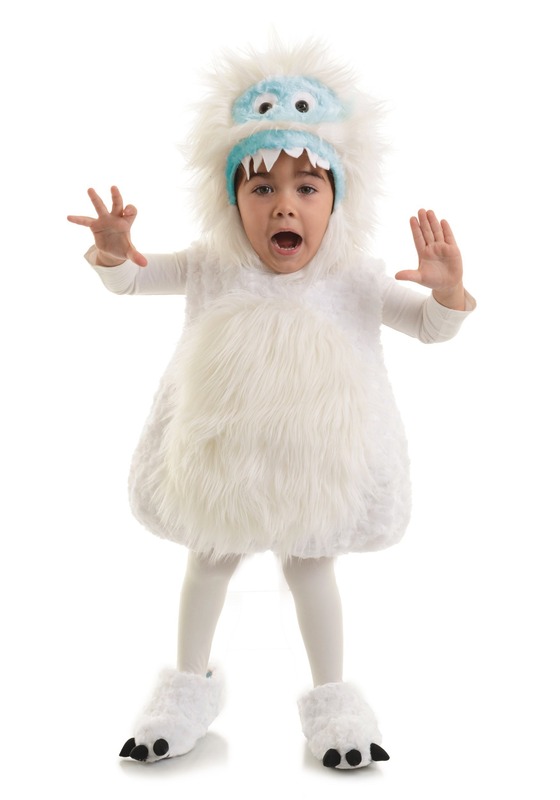 Let him test his scaring skills out this year by running around in this Snow Monster Costume. Sneaking up behind his victims will be a bit harder in this bright, white outfit, so make sure he practices his roar! Costume was adorable on my daughter. Everyone loved it! Very nice costume for the money fit well. Would definitely recommend.